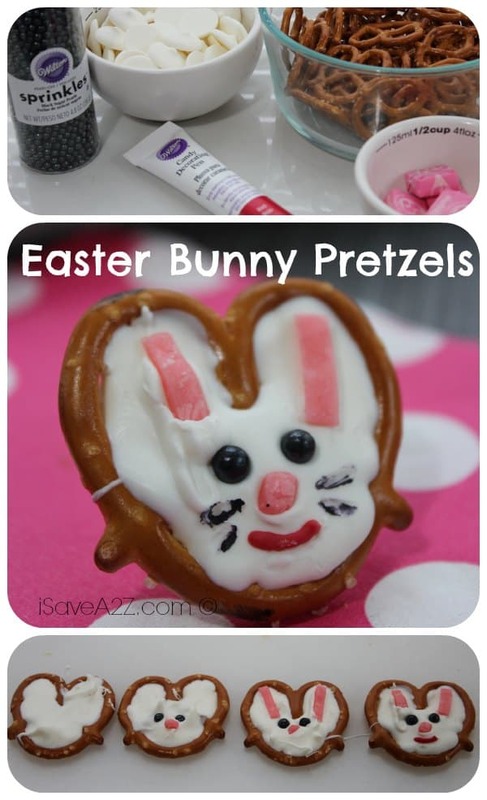 Get ready for easter with these great Easter Bunny Pretzels! These cute little finger foods will be great for anything you could have planned for Easter! Another thing that is for sure, is that the kids will love these! 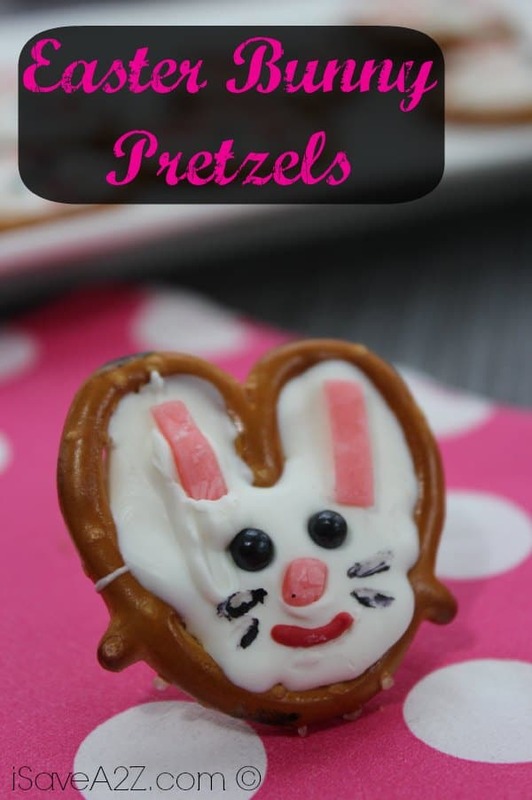 We even have a recipe for Pretzel Easter Chicks to match these Easter Bunnies! Make this year’s Easter special with both of these special snacks! You might also want to check out our Easter Mini Cakes, and our Easter Bunny Bread Recipe! Check out these Easter pouches for your little Easter favors! cut to create 48 inner ears (1/8" x 1/2") and 24 pink noses. Pipe candy over inside of pretzel to form shape of bunny head. Smooth with finger if necessary. Place pearls for eyes and Starburst ears and noses. Heat Red Candy Chips by microwaving for 30 seconds stirring and repeating until melted. Then use toothpick to draw red mouth OR use candy decorating pen.